In the entire world, there are only 5 cities considered “blue zones,” or areas where locals commonly live to 100 years of age. The only blue zone in Latin America is on the Nicoya Peninsula in Costa Rica. This city is not an anomaly either, as Costa Rica experiences a life span of 78.5 years, significantly higher than its neighboring countries. 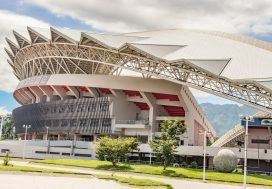 For years, people have been studying the exceptionally high life expectancy of Costa Ricans and have found a large number of factors causing this phenomenon. While some factors may have to do with healthy genetics, the huge majority concern life habits and health-conscious decision making. 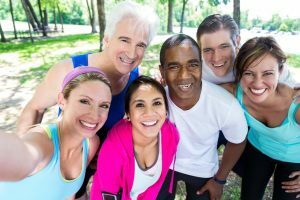 You don’t need to be born in Costa Rica to reap the health benefits either, as more and more studies are showing that people who move to Costa Rica later in life experience a huge boost in health status. Many new incomers to this small, tropical country report weight loss, an increase of energy, and a relief of symptoms from chronic illnesses without seeking professional health care. Studies are still being conducted on why Costa Ricans experience such an elevated health status, but the results that have come in are conclusive enough. Without having any genetic advantage, these 7 factors of Costa Rican culture almost immediately offer huge benefits to those enjoying life in this Central American country. Regardless of whether you’re an athlete or not, you’re going to get considerably more physical activity if you live in Costa Rica. Here, the cities are designed for pedestrians, and most have active city centers with the businesses all in one easy-to-access zone. If you live in a booming city like San Jose, you may find running errands to be quicker on foot. These cities can experience very congested traffic, but with the well-maintained sidewalks and concentrated urban zones, you can check every item off your to-do list while walking. Costa Rica also has a well-developed bus system and very inexpensive taxis. Rather than bringing a car on daily errands, most people find it easier to walk to the urban center, purchase their items, and use public transport to return. This will simplify not only errands, but getting to work, visiting friends, and going out at night without needing to organize a designated driver. 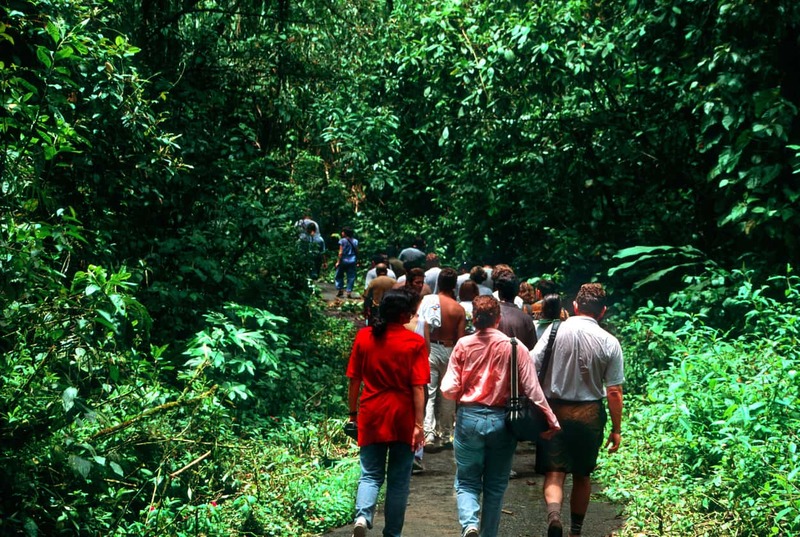 Apart from the day to day walking, Costa Rica is booming with organized outdoor activities. In a country containing 12 distinct microclimates, from sunny beaches to mountains, volcanic area, and rainforests, you will be itching to explore. Those athletically gifted will find themselves scaling volcanoes and ziplining through the forest, but there are activities for everyone. Almost every national park contains easy, maintained trails that lead to a view point. You can take advantage of paved trails, access to visitor centers and public bathrooms, and still explore the nature of your new country. In Costa Rica, the usual meal is plant based. Your plate may come with local, organic meat, but it will be surrounded by fiber-rich rice and beans, accompanied by fresh fruits and vegetables. The traditional meal will contain no additives or preservatives at all. Modern studies into United States diets tell us that the intake of refined sugar, red meat, dairy, and processed foods increase the risk of chronic illness and enhance mood swings and mental health problems. These ingredients are used sparingly or not at all in a traditional Costa Rican diet. Costa Ricans are also better at portion control than their neighboring American countries. They eat 3 square meals a day, all plant based, with lunch being the heaviest meal. Foods like rice and beans keep them fuller for longer, and control energy levels throughout the day. This healthy, non-processed, plant based diet will help you feel better and decrease cravings throughout the day. 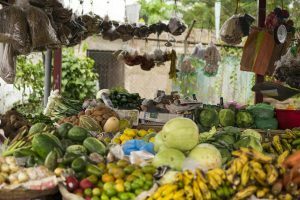 Not only have Costa Ricans developed healthier eating habits, they actually have access to better foods than does the rest of the world. Any city, beach town, or mountain village will have outdoor farmers markets, health food cafes, and healthier restaurant options year-round. You will have no problem finding organic products and essential oils, as many of these products are grown and produced in Central America. While the rest of the world pays for heavy markups and importation fees, if you live in Costa Rica, you’ll find the same products newly harvested, without preservatives, and for just pennies on the dollar of what the rest of the world is paying. Costa Rica is a famous producer of superfoods, or foods shown to offer an advanced health benefit. These foods include chia seed, flax seed, cacao, avocado, and countless tropical fruits. These fruits are not used in special health formulas either, they are favorite snacks among the Costa Rican locals and residents. Instead of picking up a bag of chips and a soda, those who live in Costa Rica satisfy their mid-day munchies with a bag of mangos, plantains, chopped coconut, or local peanuts bought for pennies on any street corner. The mid-day heat is controlled with a coconut water smoothie and a couple liters of water. 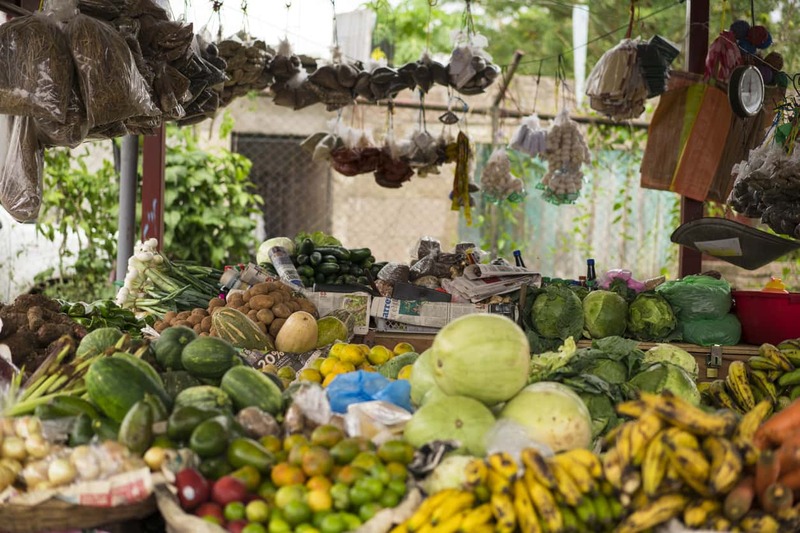 Healthy foods and active lifestyles are huge contributors to health, but Costa Rica goes one step farther with what is considered one of the most well-run, low-cost medical systems in the entire world. The country has modern health facilities with well-trained doctors and staff where almost any modern treatment can be administered. For residents, Costa Rica offers universal health care. For those who still don’t have residency, the treatments can be paid in full for often just a fraction of what you may pay in the United States, even with insurance. This benefit extends even to cosmetic health care, as cosmetic dentistry and plastic surgery is a common specialty among Costa Rican medical schools. Access to dependable, affordable health services may be the biggest draw for people foreseeing retirement, but should be considered a major asset to anyone considering a move. The countryside is teeming with possibilities for an active adventure, and fortunately for the residents of this tropical country, very little work needs to be done to find an adventure companion. A stroll alone in the jungle or a horse ride through the mountains with your family may be a great weekend get-away, but for a formal exercise plan, you may want to find an established community. Hiking groups, yoga communities, and walking teams are in every city. These communities usually consist of a mix of Costa Rican locals and expat residents and have evolved from this diverse cultural dynamic. New exercises and fitness trends from outsiders combine with the Costa Rican value for physical health and outdoor activities, creating a dynamic and supportive atmosphere. 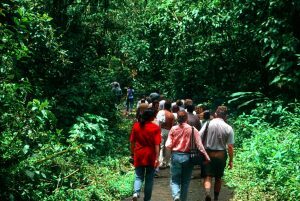 In Costa Rica, perfectly comfortable weather can be found for anyone’s preferences, and the natural biodiversity in plant and animal life creates a heaven on earth. This tropical paradise has been taken care of by the local government and responsible business owners. Currently, 23% of national land is protected territory. 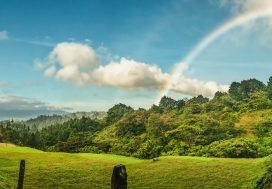 In Costa Rica, you will see more nature, even from inside large cities, and the lower pollution levels will make a noticeable impact on your day to day life. The country is modernly developed but still less industrialized, preserving healthy air and safe, drinkable water. These practices are not only good for the environment, but good for its inhabitants as well. People experiencing symptoms from chronic conditions such as asthma and arthritis report a decrease of symptoms after moving to Costa Rica. The health impacts of nutritional diets and high activity levels are doubled by a safe, clean environment. Health is not always a strict science measured by nutrients and calories, it has some important qualitative factors as well. In Costa Rica, the way of life is one of these factors. You will hear the phrase “pura vida” used in any situation, meaning “pure life.” This phrase is used as a greeting and an exclamation, and it perfectly describes the values of this health-conscious country. In Costa Rica, people spend more time outside, get more sunlight, and live a more relaxed, slow paced lifestyle. You will experience less stress and find coping with problems to be much easier the more time you spend here. People moving to Costa Rica and adopting this more natural, healthy lifestyle are finding themselves happier than ever and with up to 10 years of added life span.